A dress that lives for sunlight, the Dancing Sun plays up carefree lines with an effortless femininity. This floral dress features a smocked bodice, A-line skirt and double layer flounce sleeves that are attached at the underarm. 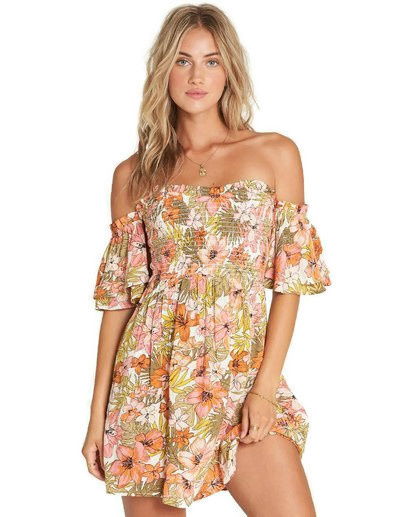 Off the shoulder mini dress. Smocking at neckline and sleeves. Short sleeves with double layer flounce. Sleeves tacked to body at underarm.